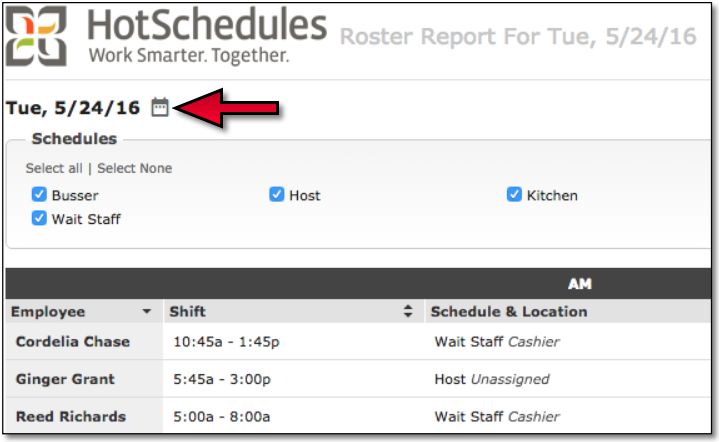 When filtering a schedule by Job, only the employees that are scheduled with that Job will display. Users can now access the Roster Report directly from the New Scheduler by clicking the Report icon in the upper, right-hand corner. 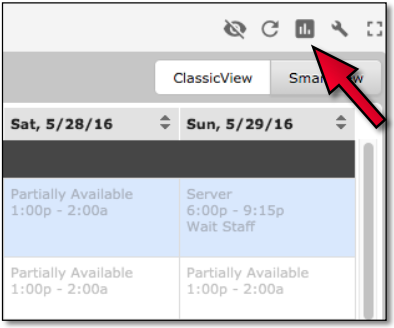 The report will display the current day by default, but clicking the Calendar icon allows the users to select the day of their choice. 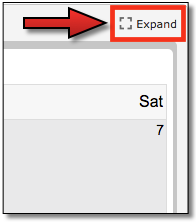 An Expand option was added to the calendar within the Time Off & Requests sub-tab so users can view the entire calendar without having to scroll, and they can still make any desired submission. 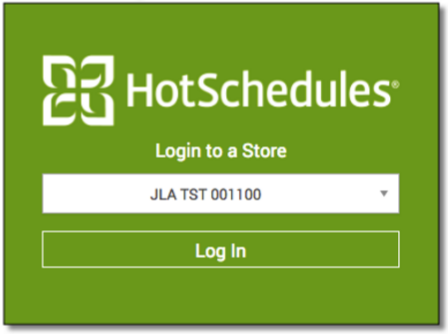 Multi-Store users who don’t have access to the Above Store Console will now see a similar interface as those who do. When users logout, and log back in, the last store they were logged into will be the default option in the store-selector drop-down. 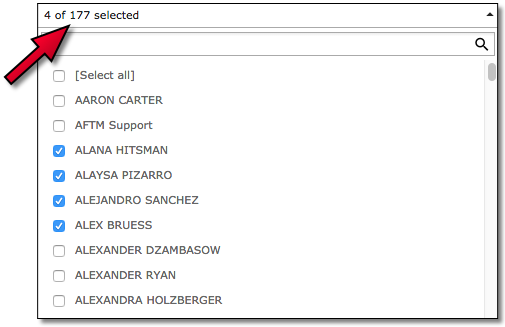 Selecting the drop-down will display a list of employees, and will list up to three names as users select each one. Once a fourth name is selected, the drop-down will display the number selected out of the total available. Users can navigate away from the Reporting tab, or log out entirely, and once they return to the Reporting tab, and the previously-viewed report, they will find that the drop-down will still display their previous selection. It’s important to note that in order to de-select names, users will need to either do so one by one, or they will need to click the [Select all] button at the top of the list twice to clear the list.